Blackhill Engineering, part of SC Group, has received their largest ever single order for the volume fabrication of specialist components for an automotive industry customer. Traditionally, Blackhill have focussed on larger scale, lower volume bespoke fabrications, but this order will see them delivering close to 2500 complex components at a pre-prescribed delivery rate. The order, from an undisclosed customer, has a total value of £1.2 Million and will see Blackhill fabricating components throughout 2017. Workshop preparations are well under way including significant investment in new weld booths, extraction systems and welding plant. 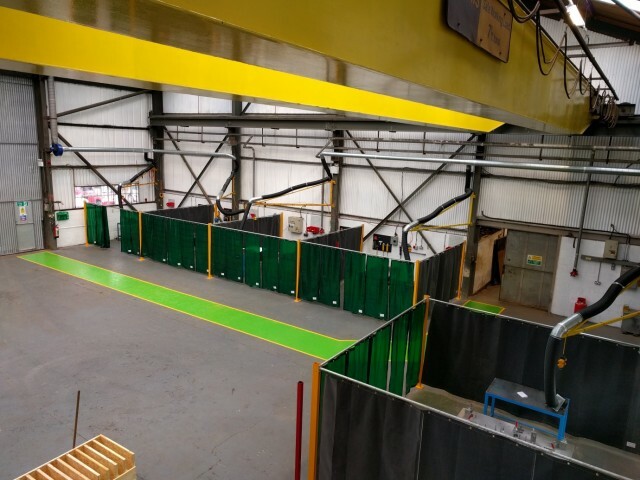 Each booth has been kitted out with all the equipment required to manufacture the complex assemblies, including bespoke specialist jig frames. Paul Fishwick, General Manager of Blackhill Engineering said: “This order is significant for Blackhill Engineering and it has allowed us to invest further and create jobs. We’re delighted to be placing Blackhill in a higher volume and more production biased position that will open up wider opportunities for us in the future”. Nick Ames, Chief Executive of SC Group said: “I’m particularly pleased to see Blackhill making this key step towards higher volume, production fabrication. Having recently been granted Fit for Nuclear status and with the recent announcements regarding Hinkley Point, I see Blackhill as being ideally placed, both in terms of capability and geography, to provide the South West based fabrication services required by elements of that major project’s supply chain”.